No one does power equipment like Steelman's Hardware. We have a large selection of mowers, blowers, chainsaws, generators, tillers and everything else! We’ve got all the power and battery operated tools you’ll need to keep your garden cut, trimmed, and beautiful. Talk with a Steelman's Hardware associate to find the power equipment that’s right for your project. 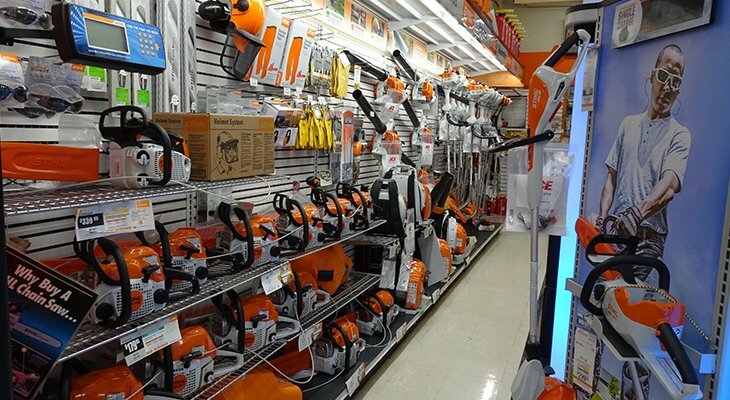 Steelman's Hardware proudly carries a full selection of STIHL power equipment and accessories. You can only find STIHL at independent retailers like us. This is because we don’t let a piece of equipment leave our store without you fully understanding what you’re buying and how to use it. Each customer purchasing a STIHL is taken through a product specific orientation which includes starting the machine and walking through simple troubleshooting techniques.